In New Jersey, there are a number of steps you’ll have to take before you can get your hands on a firearm. Luckily for you, we’ll go over everything you need to know to navigate the maze of New Jersey gun regulations to help you buy a gun and defend your freedoms! Before you are allowed to buy and own a handgun in the Garden State, you’ll have to meet some requirements and jump through a couple of hoops. The list of requirements doesn’t seem too bad, and you can actually skip the background check if you purchase your handgun through a private sale. The downside is that no matter who you buy the handgun from, the seller needs to provide a copy of the transaction to the State Police Firearms Investigation Unit (FIU) anyway, so there is a record of the sale regardless. You’ll need to make sure, before you even decide to get a Pistol Purchase Permit, that you are allowed to buy and own a firearm in the first place. Have been convicted of aggravated assault, arson, burglary, extortion, homicide, kidnapping, robbery, sexual assault, endangering the welfare of a child, any weapons offense, or any domestic violence offense including harassment or stalking. Are subject to a court order under New Jersey law prohibiting you from owning a firearm (well, yeah). Hopefully none of those situations apply to anyone here, in which case, you can move on to the next step! The real hassle in buying a handgun lies in getting the Pistol Purchase Permit. Before you even go to your local police station to apply for the permit, you need to make sure you don’t fall into any of the prohibited categories that will automatically disqualify you. In addition to that, the Permit application requires you to provide two reputable citizens to vouch for you. Would be a danger to the interest of public safety if you were issued a permit. Once your application is in, you should generally hear back within 30 days, though realistically, it may take much longer to hear back regarding your application. If you are denied a permit, you can request a hearing at your local Superior Court within 30 days of the denial. You’ll then be able to argue against your denial at a hearing that should be scheduled 30 days from your request. You’ll basically need to make an argument against the reasons you were denied the permit, and if you are convincing enough, you’ll be allowed to buy a handgun! Once you finally get the Purchase Permit, you will have 90 days to use the permit to purchase a handgun. You can renew the permit for an additional 90 days if you need to, but you should pretty much run to your local gun store ASAP once you get the permit anyway. Oh, and by the way each Purchase Permit only authorizes the purchase of one handgun. If you want to buy more than one handgun, you’ll need to apply for multiple Permits, and the process for each Permit is the same. No bulk purchase deals here. Depending on your residency status in the state, you may need additional documentation in purchasing a handgun. 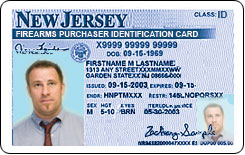 US citizens living in New Jersey only need to provide the Purchase Permit along with the other steps listed above. 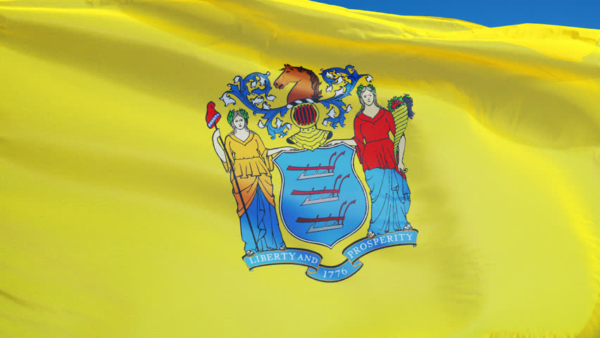 Permanent resident aliens living in New Jersey will need to have an additional document showing they lived in the state for a continuous 3 months before the handgun purchase date. Non-resident aliens are not allowed to purchase firearms without an NJ hunting license or a waiver from the US Attorney General. Once you’ve got your Purchase Permit, you can actually go to your local gun store to buy a handgun! Of course, if you choose to buy your handgun from a private seller, that’s okay too, but you’ll miss out on that new-gun smell. You will need to present your Permit to the seller, and fill out the transaction record the seller will submit to the State Police afterwards. The process is pretty straightforward, and there’s no waiting period either! Once you pay for the gun, you can take it home with you! So what’s the catch? Aside from only being able to buy one handgun with each Purchase Permit, you are only allowed to purchase one handgun every 30 days. If you applied for multiple Purchase Permits at once, you’ll need to space out your purchases to meet the 30 day requirement, regardless of whether you are buying from a gun store or a private seller. If you are collecting curios or relics, then the 30 day rule doesn’t apply to you. You’ll need to make sure the firearm you are buying qualifies as a curio or relic though. That derives a substantial part of its monetary value from the fact it is novel, rare, bizarre, or is associated with some historical figure, period, or event. After you buy your handgun, you’ll need to buy ammo. It’s a good idea to buy ammo when you’re buying the handgun, since a Pistol Purchase Permit or a Firearms Purchaser Identification Card (FID) is required to buy handgun ammo. Once you buy your handgun, you’ll have used your Purchase Permit, so you’ll either need to have another one handy, or use an FID in order to buy ammo. The process for buying long guns is simpler than that for buying handguns. That doesn’t mean it’s a walk in the park though. Unlike buying a handgun, a background check is not required when buying a long gun from a private seller, so it may save you some time and money if you can find someone willing to sell a long gun at a good price! An FID, or Firearm Purchaser Identification card, is required to purchase long guns, as well as handgun ammo. To get the FID, you will have to go through the same process as with the Pistol Purchase Permit, but of course, filling out the application for the FID instead of the Purchase Permit. The same situations that would result in an automatic denial of a Purchase Permit application also apply to FID applications. Even the denial and appeal process with FIDs are the same as those of the Pistol Purchase Permit. So what is the difference then? An FID does not expire, and you don’t need a separate one for each long gun purchase you make! With your FID in hand, you can go to the store and actually buy a long gun (or two). You’ll need to provide your ID and FID card, and go through the required background check (if buying from a licensed dealer). It’s important to keep in mind that when buying from a private seller, it’s only the background check requirement that is waived, and you still need to have a valid FID to complete the purchase. The good thing about buying long guns is that there is no 30-day limit, and you can buy as many long guns as you can afford! 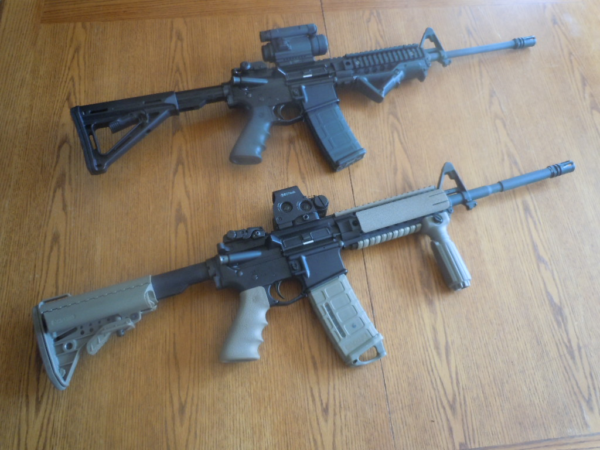 Aside from those basic requirements, there are a few restrictions on the length of long guns. Shotguns cannot have an overall length of less than 26 inches, or a barrel less than 18 inches. Rifles cannot have an overall length of less than 26 inches, or a barrel less than 16 inches. Typical long guns you buy from the store will meet these requirements, so it shouldn’t be a problem, so you’ll only need to be careful if buying from a private seller or are making your own modifications. If you’re planning on increasing the length of your long gun with a suppressor, you might need to make some other adjustments instead. Suppressors are prohibited to us regular civilians, so you’ll need to find a law enforcement friend if you want to try one out. Just like the exception for curios and relics under the handgun laws, there are exceptions for antique long guns. Its use has been approved in writing by the local chief law enforcement officer. A firearm that was manufactured before 1899 that does not have commercially available ammunition, and is owned as an ornament or for its historical significance. The State has a specific (and very long) list of what guns are considered to be “assault weapons,” but as long as you are buying your guns from a local gun store, you won’t run into any issues. If you buy a gun through a private seller, you’ll need to pay attention and make sure you aren’t attempting to purchase an illegal firearm. Unless you have a license, that is. Unless you are a firearms dealer or work in law enforcement, however, it is very unlikely you will manage to convince the authorities to grant you a license. Your best bet is to steer clear of anything that would make your firearms fall under the “assault weapons” definitions. If you do manage to get a license, keep in mind that when you pass away, your heirs will also need to be licensed to own an “assault weapon” or else they will need to turn the gun into a licensed gun dealer or the local police station within 90 days of receiving the gun. So what makes a gun an assault weapon? Unloaded weight of 50 oz or more. As long as whatever guns you own don’t meet those definitions, then you do not own an assault weapon according to New Jersey law. Hunting with a valid hunting license. Once you finally get your guns in hand, you might not even be able to carry it! In order to carry a handgun, you will need to have a Permit to Carry (PTC). Unfortunately, it is pretty difficult to get one, though once you do, you can carry both openly and concealed! For those of you brave enough to apply, check out our New Jersey CCW section after you finish up here to find out more. Carrying an unloaded firearm for transport to/from a shooting range, a hunting or fishing trip, or a gun show. Long guns just require an FID in order to carry, which you need before buying one anyway. Even though it’s legal to carry with an FID, you’ll probably get stopped by the police if you do open carry, so it might not be worth the trouble. Even though you are allowed to transport your unloaded firearms in situations listed above, you need to make sure you transport them according to New Jersey Law. When transporting your guns, they must be unloaded and kept in a closed and fastened case like a gun box, or locked in the trunk of the car. The glove compartment of the car does not count as a locked container. You’ll also need to make sure the firearm cannot be directly accessible from the passenger compartment of the vehicle. Once your gun is securely stored, you’ll also need to make sure your trip only includes deviations that are reasonably necessary to get from one place to another. This means you can take your gun from your house, into the car, and then directly to the shooting range. A stop off for a bite to eat on your way back from the range would be an unreasonable deviation from your trip. Don’t forget about your ammo too! Ammo must be transported in a separate container from the firearm and locked in the trunk of the vehicle, or a compartment other than the glove compartment or console. If you are transporting firearms through the state of New Jersey on your way somewhere else, there are a few things you’ll need to make sure you keep in mind. Even if you are from out of state, you will be held to New Jersey standards while transporting your firearms and ammo on your way somewhere else. 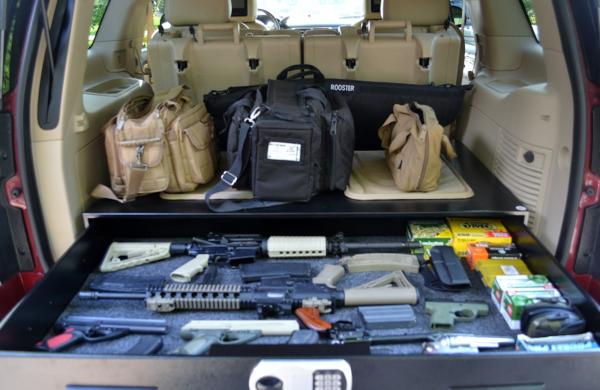 The firearm and ammo is not directly accessible from the passenger compartment of the vehicle. All of those conditions have to be met when transporting firearms and ammo through New Jersey, even if the state you are leaving from or headed to do not have similar requirements. Magazines are restricted to only those capable of holding no more than 15 rounds. Luckily, the firearms industry has not given up on New Jersey residents, and you can buy 15 round magazines for all of your guns. Despite all of the requirements and barriers that are put up to keep you from owning firearms, New Jersey does have laws on the books that allows for use of deadly force to defend yourself. 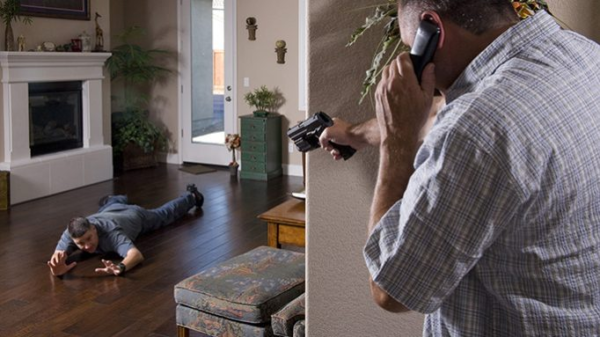 In what is commonly known as the “Castle Doctrine”, you can use deadly force to defend yourself and your loved ones while in your home. Specifically, the use of force is justified if you reasonably believe the force is necessary to prevent or stop an attempt to commit a crime on your property. However, it is important to note that the law allows for the use of force only if you have already requested the other person to stop what they are doing. If it is unreasonable to tell the person to stop, then you don’t have to try and reason with them. Someone breaking into your house with a gun pointed at you probably isn’t in the mood to talk, but a burglar who is just trying to run off with the TV might be more willing to put it back down and walk out the door if you have your handgun pointed at him and ask him to leave. Similar to defending yourself while at home, New Jersey also allows you to use force to defend yourself or others, as long as you are somewhere you are legally allowed to be. The same rules on requesting the person stop what they are doing applies to the “Stand Your Ground” law as well. It is more likely that a request to stop would be impractical in the “Stand Your Ground” type of situations, however, since someone who is willing to threaten the lives of others by walking into a bank or a restaurant with a gun probably won’t just turn around and run away, and you may end up causing greater harm to yourself for others by announcing your intention to stop the bad guy. And with that, we’re done! You now know everything there is to know all the basics of gun laws in the Garden State! 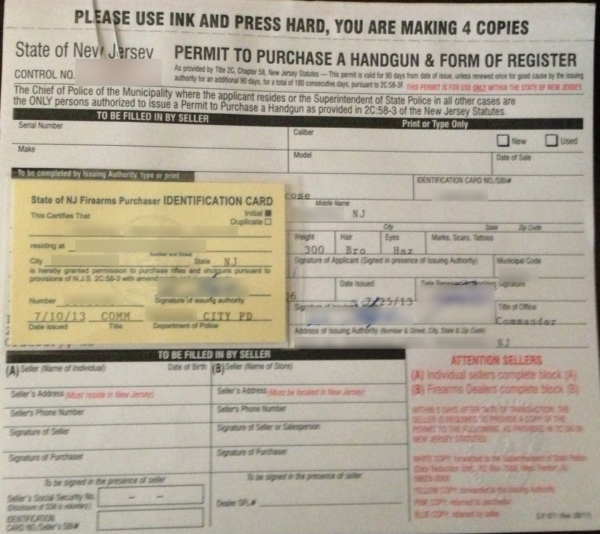 If you are interested in getting that Permit to Carry so you can carry while running errands around town, be sure to check out our New Jersey CCW section for all the info. If you don’t need to know about the carry permit laws just yet, that’s okay too! You can work on your gun collection instead! You might want a nice safe to keep all your new toys though. A sturdy safe can also keep your guns from prying eyes and curious kids, and keep you on the right side of firearms storage laws. As long as you keep your firearms, loaded or unloaded, in a securely locked box or container, or locked with a trigger lock, you will be fine. But it’s always a good idea to keep your guns in a gun cabinet or safe anyway. If you want to start smaller, a gun cabinet, or even just a decent handgun safe may be a good investment. Now get out there and pew pew!